...... USB flash card data recovery utility is considered as the safest utility tool for the end user and can be easily handled by non-technical users. Corrupted data recovery application recover data files folders audio video songs from inaccessible crashed digital storage device. Files recovery software is compatible to major brands of memory cards including Super Flash, PQI, Super Talent, Kingston, Jet flash Sony and more. * Cf card data recovery utility support to Microsoft Windows and formatted apple Macintosh OSX also. 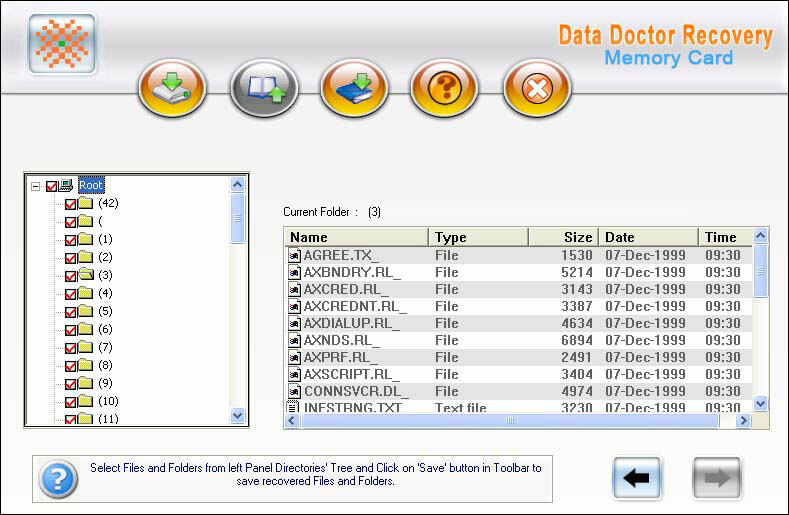 * Tool can retrieve data from the formatted media card devices. * Utility to support recovering the deleted digital picture images from compact flash memory cards devices like multimedia memory card, SD XD memory card etc. * Recovery software provides complete recovery of damaged or corrupted images pictures data files. * Application program has user friendly easy to use GUI. Qweas is providing links to Pro Duo Memory Card Recovery 4.0.1.5 as a courtesy, and makes no representations regarding Pro Duo Memory Card Recovery or any other applications or any information related thereto. Any questions, complaints or claims regarding this application Pro Duo Memory Card Recovery 4.0.1.5 must be directed to the appropriate software vendor. You may click the publisher link of Pro Duo Memory Card Recovery on the top of this page to get more details about the vendor.